For the past several posts I’ve been discussing the NEW Outskirts Press with all new packages starting August 1. But as the thousands and thousands of satisfied authors who have published with Outskirts Press since 2002 can attest, the “old” packages are pretty stellar, too. 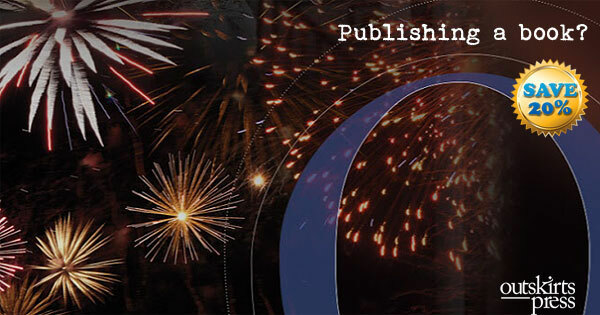 And right now is your best, last chance to get your best deal on the best publishing packages in the industry, with our explosive 20% discount extravaganza! Outskirts Press helps authors develop and publish high-quality books by offering exceptional design, printing, publishing, distribution, and book marketing services. Top Consumer Reviews ranks us #1 because we deliver outstanding customer service, affordable pricing, industry-leading royalties, and a team of hands-on, US-based publishing experts (many of whom are writers themselves). In short, we take the complexity and guesswork out of publishing, and our passion is helping you publish the book of your dreams. This 4th of July holiday, Outskirts Press is making it easier and more affordable than ever to start publishing! Today you can receive an instant 20% discount when you choose to publish with our industry-leading Diamond publishing package or our full-color Pearl publishing package. 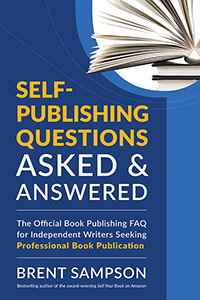 Both packages include a personal publishing team who will help you through the process, answer your questions and help you to publish the book of your dreams. When you start your publishing journey from July 1 – July 5, you’ll receive a 20% discount when you purchase the Diamond or Pearl package! Simply enter the promotion code SAVE20 during check out. It’s that easy! 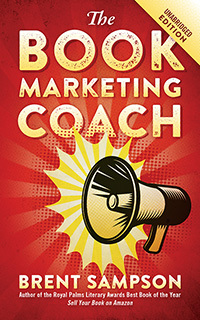 Whether you are promoting a book or promoting a company, one integral step is establishing your expertise in your field. If you are a novelist, your “field” is your genre. If you write non-fiction, your “field” is your topic or subject matter. If you own a clothing store, your “field” includes the clothing lines you carry. The question is not whether you are an expert in your field, since, presumably, you are if you have either written a book or started a business. The question is, how do you establish that expertise publicly by sharing it with others, either your potential readers or your potential customers? There are a number of ways to establish your expertise, and they are the same regardless of whether you have written a book or started a company. One way is to write a blog. 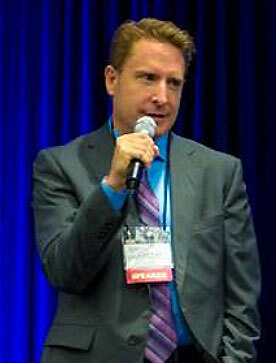 Another method is to write articles and distribute them through “article banks” on the Internet. These are not mutually exclusive. In fact, once you are doing one of these things, you can easily do the other. The writer’s maxim is the opposite of the old carpenter’s maxim: you should write it once, and use it twice — or even more! Interestingly, if you own a business, one of the best ways to establish your expertise in your field is to write a book and publish it. There are some interesting things to notice about this cart. For instance, you will notice how rapidly the ranking climbs from 15,000 to 3,000. And then, again, you will notice how quickly it climbs from 1000 to 200 (the difference in scale notwithstanding, of course). But also notice how slowly it climbs from 50 to 29. This is probably obvious, but I’ll say it anyway: The closer you get to a #1 ranking, the more books you need to sell. First, the disclaimers: Since the algorithm Amazon uses to generate its sales ranking is proprietary, the details contained herein are extrapolated from research and field tests. The resulting consensus finds Amazon’s system to provide marginal sales data at best. To whit, read Amazon’s own definition of its system, slightly paraphrased from their FAQ: “The Sales Ranking system exhibits how books are selling. The lower the number, the higher the sales. The calculation is based on sales and is updated each hour to reflect recent and historical sales of every item sold. We hope you find the Amazon.com Sales Rank interesting!” This last sentence seems to indicate Amazon’s own perspective on the importance with which the sales rankings should be viewed. You’re not supposed to find the sales rankings informative or helpful. You’re supposed to find them interesting. In actuality, the process is somewhat more convoluted than they let on. The ranking does not depend solely upon the actual number of books sold, but rather, on a comparison against the sales figures of the other books in their database (all 5 million+ of them) within that same hour. Simultaneously, a trending calculation is applied to arrive at a sales trajectory. So, hypothetically, a book that held a ranking of 2,000 at 2pm and 3,000 at 3pm, might hold a 4,000 ranking at 4pm, even if it actually sold MORE books between 3-4 than it did between 2-3. Current projections and historic sales information also play a key role in these calculations. In fact, the predictive nature of the Amazon ranking system is what makes it possible for a newly-released book to outrank an older established title, even though the actual sales figures for the latter far exceed the former. That said, sales history takes a back seat to current sales rankings. Sales projections and trending take an active role here, which is why a book’s ranking can leap from 900,000 to 200,000 in the span of 24 hours or less. Does this mean the book has sold 700,000 copies in 24 hours? Absolutely not! What it does mean is that recent activity (i.e. purchases) for that book is trending higher than those 700,000 books it just surpassed. But, don’t get excited just yet; since the activity of those 700,000 other books range from slow to stagnant, one or two orders are sufficient to catapult a ranking. If a book’s ranking breaks into the top 100,000, the sales history calculation starts to rear its head, which is why a “phenomenon” book has a hard time maintaining a high, legitimate ranking. A phenomenon is defined by a book that leaps from the high hundred-thousands into the lower thousands (or better) in the span of 24 hours or less, usually due to some concentrated marketing initiatives. Since Amazon’s sales history for that title doesn’t support the leap, the spike occurs and then quickly drops again. HOW DOES ALL THIS TRANSLATE TO ACTUAL SALES FIGURES? Since the data is recalculated all the time, it’s impossible to arrive at accurate, cumulative sales figures, although those figures are applied to the algorithm during the calculation. No, to get a very rough idea of the actual number of books being sold, the sales ranking has to be dissected dynamically, with the same immediacy as the ranking being calculated. In other words, chart the ranking of the book at the same time every hour for 24 hours and then divide by 24 to arrive at its average daily ranking. Do that for seven straight days to arrive at its average weekly ranking. You can do it all month long to arrive at its average monthly ranking. The longer your average timeframe, the more accurately your sales ranking will reflect “reality” (as opposed to a spike or dip in sales). I’ve said in the past that I use my own books as “guinea pigs” for the self publishing services we offer to authors. If I am successful doing something, it is reasonable to think that someone else can be successful, also. If something I do doesn’t have the positive impact I was hoping for, I adjust and try again. And if something fails, well then we know to either avoid suggesting it or to make an effort to advise our authors against it. Such was one of the blog postings I made in 2005 on my old blog about Kirkus Discoveries, and it was one of the blog postings that led to an interview with the New York Times. At the time I believe Kirkus Discoveries was charging $350 for a “review” of self-published books. Recently they charged $400 or more, and very recently, I hear the future of Kirkus Discoveries seems to be in jeopardy entirely. However, at the time in 2005, I had seen several of these Kirkus Discoveries reviews, courtesy of our authors, and came away with the feeling that this was not serving the best interests of self-publishing authors, in general. So I said in my blog this was something I wouldn’t recommend to our authors. And our Marketing COACH suggested our authors think twice about doing it. Anyway, back to the story — another experiment I tried with one of my books was the so-called “Amazon Bestseller Campaign.” There are people out there charging thousands of dollars for this concept, but here it is for free: Contact as many people as you can (suggestions range from 500,000 to one million people) via email. Get as many people as you can to buy your book on Amazon all on the same day. Provide them with incentive to buy your book by offering them other products or services that have a value much greater than the cost of your book itself. Conducting this campaign has its pros and cons. It also has its share of people firmly entrenched in the “this is good” camp and others firmly entrenched in the “this is evil” camp. All the “downsides” to this campaign contribute to the reasons we don’t currently offer it as a “service” for our authors — because a lot of our authors inquire about it. Furthermore, pulling this off is easier said than done. Who knows 500,000 people they can email? Nowadays there are companies that charge thousands of dollars to implement this sort of campaign on behalf of the author. Personally, I didn’t need to pay anyone to do it for me because I had access to lists, and I knew other industry professionals who would support my campaign. But it did take a lot of my time orchestrating, and in retrospect, it may have actually been more cost-effective and efficient — and perhaps even effective — for me to just buy it as a “package” from someone else. But, nevertheless, when Sell Your Book on Amazon was published, I conducted by own “bestseller” campaign as a test. And it worked. My book reached #29 on the overall Amazon Sales Rank on March 27th, 2007. Below is a chart of my book’s Amazon sales rank that day. Notice that I have to change the SCALE of the chart 3 times in order to keep the chart from being 10 feet tall. Also notice that the ranking starts at 15,000. It would have done the same exact thing if it had started at 150,000 or 1,500,000. The initial ranking is important though, because it implies Amazon’s “true” valuation of the book. Which means after the “campaign” is over, your book will mostly likely return to roughly the level it started at. But in the meantime, you may have acquired a few more reviews, a few more tags, and a little more activity around your book — and that helps support your longer term marketing tactics on Amazon. Was that an exciting day? You bet. Did I become a millionaire overnight? Of course not. I didn’t even reach #1. In fact, I didn’t even reach #1 in my category, which is the whole point of the campaign. I reached #2 in my category, because some HUGE best seller was #1, and I couldn’t knock it off. As I mentioned in a previous post, best sellers are more a product of marketing than sales, just like Oscar winners are often more a product of marketing than quality. 1) If it works, I’ll want to advise our authors how to “get around” the one-video limitation imposed by Amazon’s own Author Central functionality. So when this posting appears on my Amazon Author Page, we can see if the video appears. I’m also doing this — and in such detail — because I’m nearly done with the Second Edition of Sell Your Book on Amazon – Newly Revised for 2010! My current Kindle edition has some formatting editions (Kindles don’t take too kindly to drop caps, sidebars, and the like), so rather than reformat the first edition, which was somewhat out of date, given that it was published in 2007, I just decided to crack out the new edition and then correct the Kindle edition all at the same time.